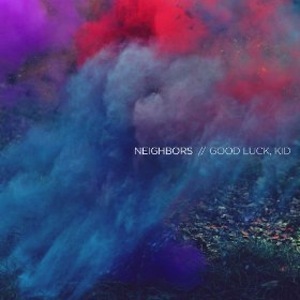 There’s obviously a lot of competition to rise above the packed corners of the synth-pop community in Brooklyn, but The Neighbors find their golden ladder with their latest, Good Luck, Kid. The album maneuvers from the pulsating, dance floor-inspired “Water Gun” to the solemn, intimate matters in “That’s Enough” or “Vodka & Lemonade.” It is also revealing that lead singer and principal songwriter, Noah Stitelman, doesn’t try to mask his voice with effects and manipulation, which we’ve seen from other synth pop singers. He has made his unique, straight-laced vocals a differentiator. In what also might be described as a double-edged sword, his hushed delivery is almost lost among the electronic carousel going on all around on “Diamonds.” He sits almost pleasantly stoic amid a volatile synth barrage. Good Luck, Kid is more than a bedroom-pop project; there is a beautiful attention to craft. But, the most pleasing aspect of this album is the ability of Stitelman to explore his divergent influences, yet find his musical sweet spot.